What a gorgeous little wallhanging this is and can be personalised for that individual child. 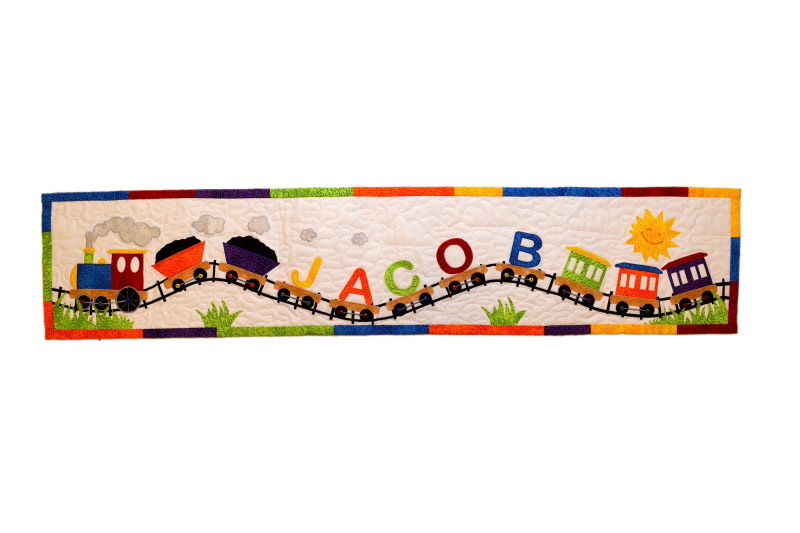 The pattern comes with the complete alphabet and is made using the fusible applique technique. It measures approximately 40 1/2 x 8 1/2 inches. You will receive a button pack along with your pattern.